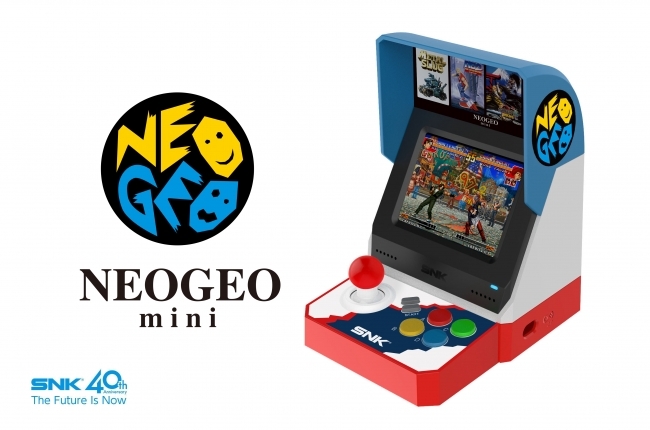 SNK has announced the release date and price for the Neo Geo Mini in Japan. The Neo Geo Mini will be available from July 24, 2018. At the time of writing, the company hasn’t announced any release of pricing details for markets outside Japan. Also revealed were the accessories available for pre-order alongside the Neo Geo Mini. They are the previously announced Neo Geo Mini PAD controllers available in black or white, Neo Geo Mini Character Sticker Sheets, screen protector for the Neo Geo Mini (2 pieces), and a 2m long HDMI cable for the Neo Geo Mini. Pre-orders for all the items listed above and the Neo Geo Mini itself are now live on Amazon Japan. While these products are not eligible for international shipping yet, it may change in the future. We will let you know once it happens.